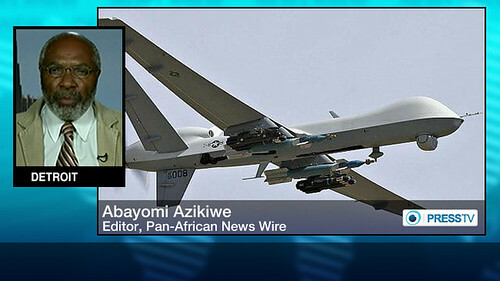 Abayomi Azikiwe, editor of the Pan-African News Wire, on graphic used for Press TV worldwide satellite news broadcast. Azikiwe is an African affairs analyst, a photo by Pan-African News Wire File Photos on Flickr. Press TV has conducted an interview with Abayomi Azikiwe, the editor of Pan African News Wire from Detroit, about the crisis in Central African Republic, French intervention and its impact on the population. Press TV: French troops are in the Central African Republic to supposedly restore law and order there, but how much can foreign military intervention help resolve the crisis; and how much is this intervention for real? Azikiwe: Obviously the intervention by France as well as Chad has worsened the political and social situation inside the Central African Republic. We believe very strongly that France is way in above their heads. That’s why yesterday they made an international appeal, again, to the United Nations Security Council to provide additional troops to go into the Central African Republic. But they have no overall strategy for normalizing the situation inside the country. And what we’re seeing now is general panic among large segments of the population with people trying to flee the country to get away from the escalating fighting that is going on. France has alienated a large segment of the population there. There have been demonstrations over the last seven days against France and their role inside the capital of Bangui and other areas of the country. Press TV: We’re seeing African countries again becoming the target of Western countries – we have the Central African Republic and Mali being the target of French colonialism once again. What is the long term plan and how will this have an effect on the economy? Azikiwe: I think it speaks directly to the economic crisis that’s been plaguing Europe particularly for the last five years. We have a situation in France where the majority of the population is totally opposed to Francois Hollande’s government’s intervention into the Central African Republic; and in all likelihood in Mali as well as Somalia and other areas on the African continent. They are there to advance their own national interests in relationship to the ruling interests in France; but at the same time creating an untenable situation in various African countries. 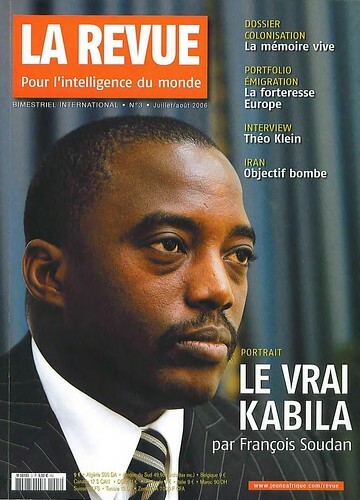 And until the African Union gets strong enough to where it can deploy its own peacekeeping forces independent of France and the United States, we are going to continue to have these false starts in Africa that are largely based upon the interests that are going on in all these Western industrialized states. 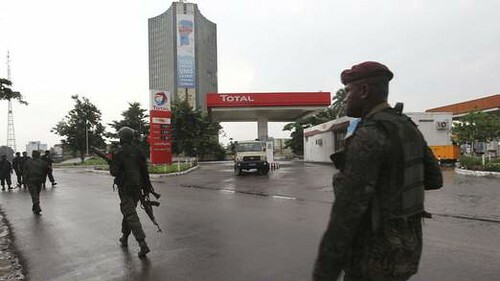 Chad, which is allied with France, has created a lot of anger as well inside the Central African Republic – several Chadian troops were killed just two days ago in an ambush. So the situation is not getting any better inside that country. Zimbabwe Vice President Hon. J.T.R. 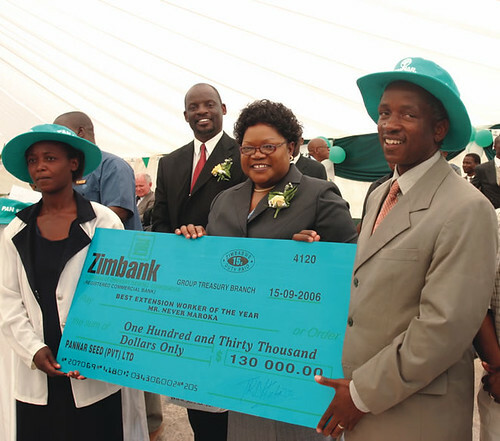 Mujuru presenting a cheque to Never Maroka on achieving Extension Worker of the Year award sponsored by Pannar Seed Company., a photo by Pan-African News Wire File Photos on Flickr. Unfortunately some countries have become mass consumers while others remain mass producers. 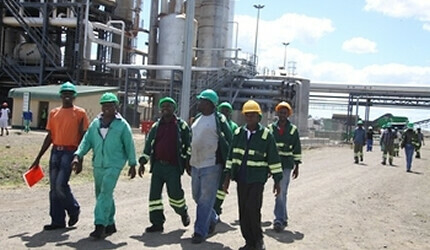 There are a number of goods that local companies are producing and have the capacity to meet demand and supply. However, due to limited restrictions on imported goods, global players with their added advantage of mass production have found Zimbabwe to be a fertile market for their products, a situation that has stalled the growth of the local industry at every level. Zimbabwe has become a dumping ground of some sort. David Chiweza, author of “Out of the Rabble: Ending the Global Economic Crisis by Understanding the Zimbabwean Experience”, warns against unplanned opening up of the Zimbabwe market to finished goods. Based on his first-hand experience of living in China during the years 1988-1992, Chiweza argues that far from the pretence of the free markets doctrine, all industrialising nations owe their development to monopolistic markets with China, for example, having imposed a total ban on imports for much of her early development stages. He argues that markets along with other factors provide an environment necessary for human and industrial development culminating in global competitiveness as was the case with China. The story of one Wellaz Jings, a specialist in furniture manufacturing in Glen View Area 8 in Harare, sums it up. In 2006, he joined his brothers in the manufacturing of furniture when the Glen View 8 complex was opened. Then business was very good. Each day since 2006, he has witnessed his business slowly getting to its knees and today it is worse with consumers now preferring products from outside the country. The “home industry” players used to compete with reputable multinational companies, a completely different situation today where he has to compete mainly with low-cost and substandard goods from other countries. If the situation continues, he will have to close shop. Brigadier-General (Retired) David Chiweza observes that the SME sector is the major peddler of non-essential imports and hence there is need for Government to consider enacting a general law that restricts imports through licensing, tariff measures or a total ban. He further observes that “SMEs are just the same as any other company. However, of the SMEs, we must distinguish between manufacturing SMEs and trading SMEs. 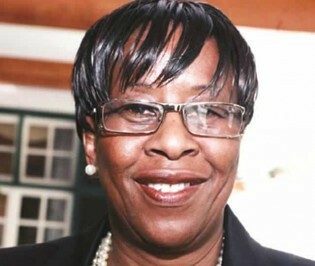 “There is a major problem within the family of SMEs in that the two are attacking each other’s interests and thereby stalling the growth of the manufacturing side of SMEs. 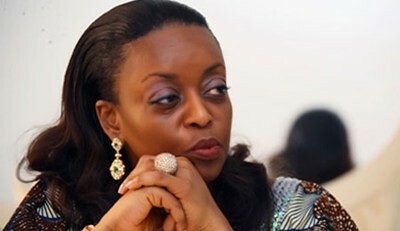 The one that imports kills the one that manufactures,” says he. He posits that a general law restricting imports through licensing, especially those that we manufacture locally, is needed. Only 7 percent of SMEs are involved in manufacturing, according to some statistics. There is need to reverse the tide by pushing the 7 percent to 51 percent. That is the mammoth task ahead. The traders will then be trading on goods made by the local manufacturers. The book notes that restrictions or protectionist policies will not affect relations that Zimbabwe has with other countries arguing Zimbabwe will continue to trade normally. Foreign companies that are trading with us are not doing so out of favour but because they are getting value from local goods. That position will not change because of protectionist policies, says he. Essentially there is need for a balance that sees growth of new companies in domestic markets and allowing those companies that have the capability of excelling in international markets to go ahead of others, which is the natural growth of industrial competitiveness. It has been argued that not all companies will be ready to go global and they will need to build competencies at home before they can go global. Other thinkers like Head of Research for Econometer Global Capital Mr Christopher Mugaga believe SMEs can be trained in entrepreneurship and ensure that their products meet international standards and thus can compete with other products on the market. There are positives to go with protectionism – that is when protectionism is not just protection for the sake of it. Like Chiweza argues, protectionism must also act as a gate valve which is used to regulate the balance of trade especially in light of an unhealthy balance of trade as a major problem facing our economy today. Without balancing trade, it will be difficult to introduce a local currency. In this matrix, the local currency is imperative, too. 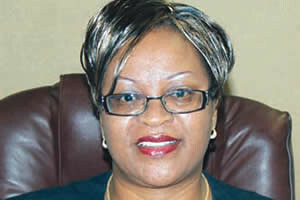 Says Chiweza critically: “We cannot be a nation that is governed by fear of the pain of the past. Instead we must demonstrate that we are a thinking people and can equally manage the process like other nations have done. Fear should not prevent us from doing the correct thing rather it should ensure that we do the correct thing with due care. Memoirs Of An Unsung Legend: Nemeso., a photo by Pan-African News Wire File Photos on Flickr. 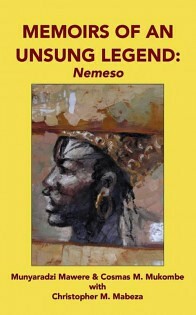 “Memoirs of an Unsung Legend: Nemeso” and it was written by Munyaradzi Mawere, Cosmas Mukombe and Christopher Mabeza. It is from the pagan Roman god of the doorway, Janus, that we get the month of January in the Julian and Gregorian calendars. Of course, other countries like China and Ethiopia have their own ways of marking the phases of the moons, as did we before colonialism. Janus is a two-faced (not in the sense of being duplicitous, but in the literal understanding of the phrase: having two faces) deity who looks both forward and backward at the same time. Why January is named after him thus becomes obvious: it is a time to reflect on the year that was and also to look forward to what is ahead. Several other religions and legends across the world have their own two-faced/two-headed deities. One that immediately comes to mind is the Indian goddess Kali, who represents both life and death. It is an esoteric — maybe even arcane — area that Christian and non-Christians scholars have assigned differing meaning to for centuries, this whole thing about two-faced, dualistic good-evil, light-dark, life-death deities. There will never be agreement on these interpretations. What is interesting though is how pagan deities, festivals, rituals and beliefs have been embraced by Christendom, especially from the time of Constantine, ruler of Rome, back in the Fourth Century AD. At the same time, the pagan rituals, festivals, deities etc of non-European peoples have been condemned by these very same Christians. It’s all about the cultural bedrock of conquest. We were conquered and so were our legends, cultures and belief systems. That is why I learnt first of a European Janus before I came across a very African character called Nemeso. For those who know the Shona language, the immediate similarity between Janus and Nemeso is apparent. Nemeso was so-named because he too had a two faces, one facing forward and the other backward. What’s more, he was not a fictional character but actually lived in this land we call Zimbabwe in the 17th century. I first came across his story in a book written for children many, many years ago. I have tried to find that little book without any success, but I do remember that after initially being ostracised because of his condition, he was to rise to become a great leader. Because of the little that has been preserved about Nemeso, his story — in the tradition of legend-keeping — most of what is known about this evidently great man is a blend of fact, fantasy and whatever lies in between the two. Claude Maredza, that forceful Zimbabwean writer, made an oblique reference to Nemeso in one interview some years ago. He was being interviewed on his engaging book “The Blackness of Black” and he was commenting on the reasons why he had left Christianity and was devoting his energies to rediscovering his roots, the source of his being as an African. He said, “Why should Christianity be the only way to Heaven if at all there is a Heaven? There is really not much by way of the written word that can be found on Nemeso, and so my search for more information on him continues. What I have found in my quest to learn more of Nemeso, and pleasantly so at that, is that three Zimbabweans have written a more comprehensive “biography” of this little-known character. Published in April last year, it is titled “Memoirs of an Unsung Legend: Nemeso” and it was written by Munyaradzi Mawere, Cosmas Mukombe and Christopher Mabeza. Mukombe is a grandson of the “real” Nemeso, probably the same one on whom the Nemeso of legend is based. Nemeso lived in south-eastern Zimbabwe among the Duma people. Mawere, Mukombe and Mabeza say one of his lasting, confirmed legacies — is a “delicious dish — of edible stinkbugs locally named harurwa”. “These insects, believed to be a gift to Nemeso by the ancestors, thrive in a grove (jiri) where no one has been allowed to meddle since the time of Nemeso, the medium through whom the stinkbugs were gifted to the living by the living-dead. The above quotations are not taken from the book itself, but rather from a citation of the book. Why is that? Quite simply because I do not have the book! It’s there on online bookshops but not in the bookstores of Zimbabwe. Kingston’s is dead, the Book Centre is dead and there is not much by way of bookshops in this country that prides itself on being the most literate and best-educated in Africa. 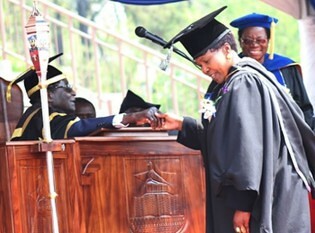 If it wasn’t for the open market at Avondale in Harare, and a thriving subterranean book exchange network encompassing Zimbabweans among themselves and with their colleagues in the Diaspora, only school textbooks would have been left in this country. This says something about Zimbabweans and how much we value telling our own stories, giving ourselves an identity and preserving, developing and projecting that identity to the rest of the world. Anyone who has passed through a CNA, Book Den or Exclusive Books shop will know the preponderance of books purportedly detailing the Zimbabwean story, written by non-Zimbabweans or by people with tenuous, NGO-related links to the country. We are not telling our own stories, and this has massive ramifications on what we think of ourselves and what we think we can — and actually will — achieve going forward. Other people are telling our stories for us, they are defining us, shaping us and giving us a past, present and future that they want us to have — not that we ourselves want to have. As we enter 2014, perhaps it is time to take stock of where our story is coming from and where it is going. Nemeso would not have asked for a more simple task. US-backed forces of the Somalia Transitional Federal Government and AMISOM enter the town of Wanlaweyn. The Horn of Africa nation is being occupied by imperialism utilizing proxy forces from the region., a photo by Pan-African News Wire File Photos on Flickr. 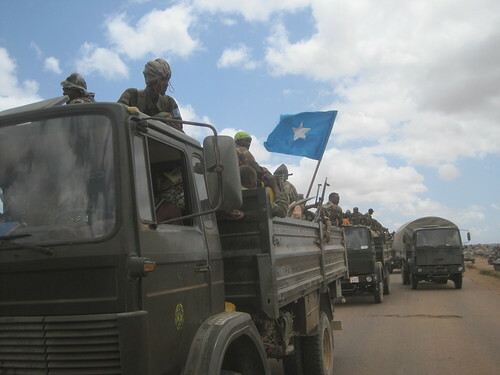 Somali government troops backed by Ethiopian forces have taken control of al-Shabab controlled areas in Bardale district of Somalia’s Bay region, officials said on Sunday. Bardale commissioner Mohamed Isaq Arra-ase told local reporters that the government forces backed by Ethiopian troops have successfully conducted an operation to eliminate al-Shabab out of locations in the town. “Somalia government troops have today conducted an operation and took control of Moro-waraabe, Walaq iyo Is-koris in Bardale district of Bay region,” Mohamed said. “The operation is part of wider operations to eliminate al-Shabab out of the region (Bay), we will continue [the operation] until the militants are eradicated from the district.” He added. Al-Shabab still controls Dinsor, Ufurow and parts of Bardale district in Bay region. 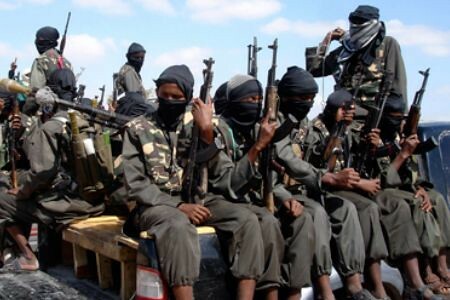 A column of Al-Shabaab fighters in Somalia. The organization reported that it ambushed and killed 30 Kenyan troops involved in a US-backed invasion of the Horn of Africa state., a photo by Pan-African News Wire File Photos on Flickr. Four police officers were injured on Monday morning in Dagahaley when a landmine detonated underneath the vehicle they were travelling in. 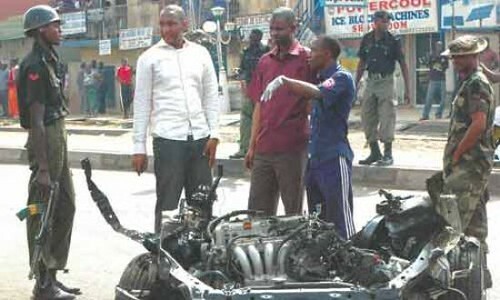 Police spokesman Masoud Munyi said that the officers were in a convoy that was escorting humanitarian aid workers for an assignment when the incident occured. A police aircraft has been dispatched to airlift two of the officers to Nairobi for specialised treatment. Police say the explosive extensively damaged the police vehicle. Most parts of North Eastern Kenya have been prone to attacks where officers have lost their lives or sustained injuries when patrol cars run over the improvised explosive devices (IEDs). However in Dagahaley, the last incident of a similar nature was reported in May, 2012 where one officer was killed and three others injured. The attacks, according to the police records, mainly target security forces. IEDs have been a weapon of choice for Al-Shabaab militias in the region since the Kenya Defence Forces moved into Somalia to fight the terror group in October 2011. Somalia-Kenya: President Mohamud, President Kenyatta: Foes or Friends? 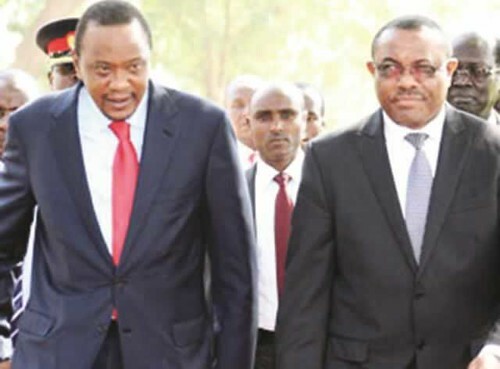 Ethiopian Prime Minister Hailemariam Desalegn with Kenyan President Uhuru Kenyatta in South Sudan to mediate between President Salva Kiir and ousted Vice-President Riek Machar. 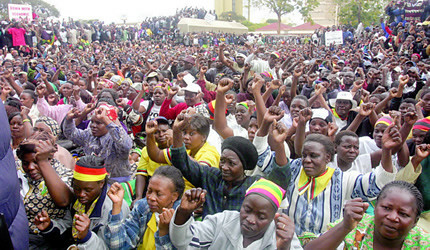 Fighting has spread to several regions of the country., a photo by Pan-African News Wire File Photos on Flickr. President Kenyatta: Foes or Friends? A popular Somali website published an article stating that during Somali President’s recent visit to Nairobi Kenya, the Somali president did not receive a proper presidential welcome at Nairobi’s Kenyatta International Airport. Somalia’s president, Hassan Sheikh Mohamud, was visiting Kenya for talks over a border dispute between the two countries. However, according to the website, Kenya and Somalia did not comment on the incident. Somalia took a federal system in 2004 and the current Somali Federal Government is based on that. Although it is the mandate of the Somali government to help build Somali States, there is a lot of work ahead. Puntland, Jubaland, and Somaliland are the only operational local Somali States in Somalia. Nevertheless, Somaliland declared its independence from the rest of Somalia in 1991. 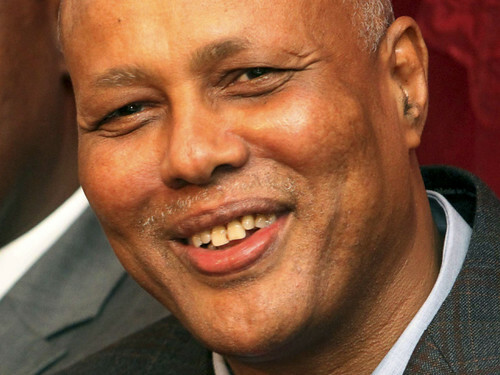 But Jubaland (currently and officially known as Jubba) was at loggerheads in this year, 2013, with the Federal Government of Somalia because the Federal Government of Somalia refused to recognize Jubaland citing grounds that the Jubaland State was not inclusive at the State level at that time and was a puppet of Kenya as Kenyan troops were in Jubaland after a long battle aimed at ousting Al-Shabab. It was only recently when the government of Somalia officially recognized Jubaland as Jubba. However, Somalia’s diplomatic wrangle with Kenya over Jubba State seems to have not completely healed in the sense that Kenya has more influences on Jubba instead of Somalia’s Federal Government having the influences. Somalia-Kenya border dispute is marital dispute and over the years, there were unconfirmed reports that the two countries were negotiating to solve the sea dispute problem. 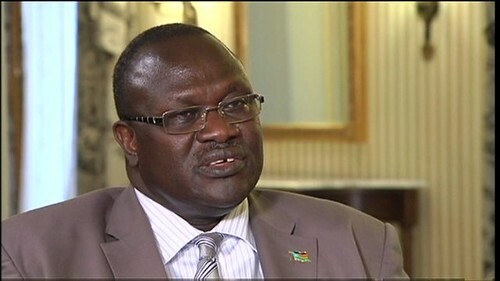 There were also claims that Kenya is using Somalia’s Juba State bordering it as a baffo zone to repel Al-Shabab and to advance its interests as Kenya explores oil in its territories bordering Somalia. Kenya also wants to harness potential oil wealth in the seas close to Somalia and allegedly beyond in Somali territories. If you look at different fronts, Somalia and Kenya share interests as two neighboring countries in the Horn of Africa. In contrast, the two countries seems to be in almost secret loathing as Kenyan troops are still in Southern Somalia and became a part of the African Union Force known as UNISOM which currently guards the weak Somali Federal Government against being toppled by Al-Shabab. Maybe ‘secret loathing’ is the right word because Somalia’s Federal Government is still suspicious of Kenya’s national interests as Kenya is a close ally of Somalia’s Jubba State. 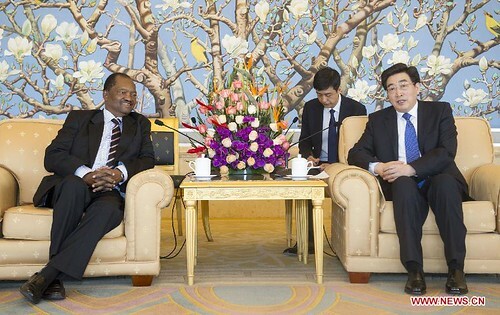 In the article published by the above mentioned Somali website, there is a picture showing Somalia’s president, Hassan Sheikh Mohamud and Kenya’s president, Uhuru Kenyatta talking at same time with hand gestures and body language sending the message that the two leaders were not interested in each others’ point. The two leaders should know that leading the two countries to the right paths is the only right path…because for both leaders, they have already got too many problems on their plates facing them in their countries: Somalia has earned the sobriquet of ‘failed state’ and it is the responsibility of president Hassan sheikh mohamud to change that and it is no time for him to turn President Uhuru Kenyatta from a friend into a rival: in recent years, Kenya underwent Election violence and president Uhuru Kenyatta currently faces crimes against humanity at the International Criminal Court at the Hague for inciting the violence; he has no time either to turn president Hassan Sheikh Mohamud from a friend into a rival: their working together is the true interests of both leaders and both countries. Ahmed Said (Abwaan Kuluc) is a Somali American Writer based in St. Cloud, Minnesota, United States. He can be reached at abdinassirsomalia@gmail.com .